I was ready. When I research something, I don’t turn to one source only. Oh no. I was taught better than that. You need multiple sources to verify your point, and that standard that was drilled in my head over and over again in college has carried on and into my every day life. My hospital packing list was no different. I wasn’t going to read one person’s list and leave it at that. Nope. I would look at many. I would find out what was common. I would carefully consider things that only made it to one list. I would read books. 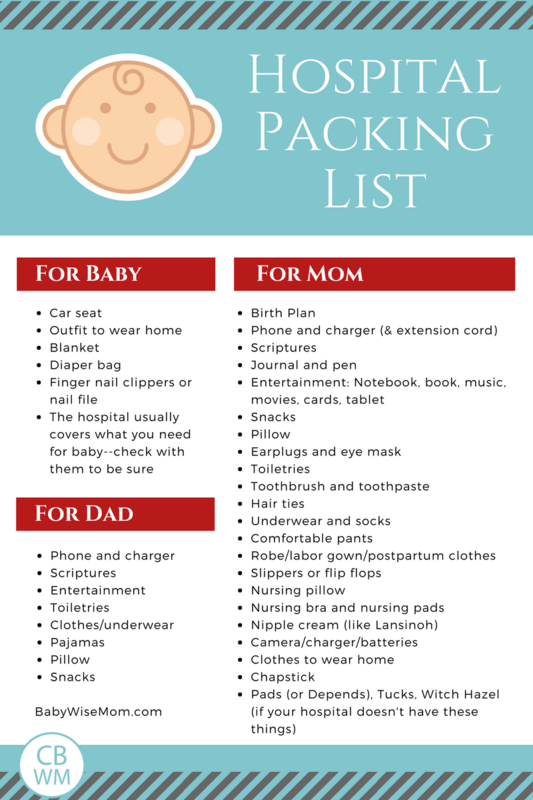 I would be as prepared as possible, because that is how I roll and there was no way I was rolling into labor with a nagging “what if I forgot something” in the back of my head. I was over-prepared, and that was okay. I prefer that to the opposite. But I amended my list over the years and through my deliveries. I want to be prepared, but there is no reason to pack things I would never use just to have to unpack them when I got home. Simplify. And with any good list comes some caveats. There are some things that will depend. Brayden and Kaitlyn both had short labors. I didn’t need anything “to do” with me because I didn’t have time for it. McKenna’s was twice as long, and we would have liked some things we had packed with Brayden but since banished from our list. Now, this was waaaayyy back in the day before we carried around computers in our pockets, so “entertainment” probably doesn’t even need to be packed like it was then. Never-the-less, the takeaway is that your perfect list will vary based on how long your labor is. And unless you have having a planed cesarean, you don’t have much way of knowing how long you will be in that hospital room before the baby arrives. 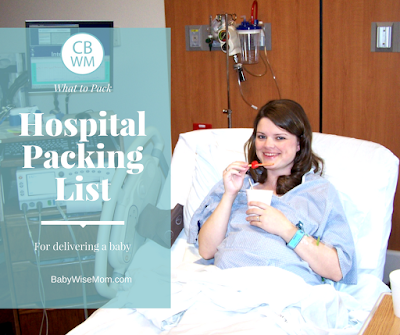 Another important point is that your list will vary based on what your hospital offers. What my hospital automatically provides won’t necessarily be true of your hospital. So ask around, crowd-source, with people who have recently delivered at your hospital.